Mobile Messaging is enabling Registered Charity and Housing Association, St Christopher’s Fellowship, to provide confidential, direct communications for its staff and beneficiaries. 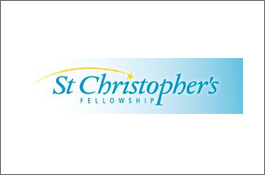 St Christopher’s Fellowship is a registered charity and housing association providing housing and care for young people and vulnerable adults. Founded in 1870 to provide shelter for homeless young people in London, St Christopher’s developed to become one of the main providers of support and housing for abused, neglected and deprived children, young people and vulnerable adults in the capital. They also now run projects further afield in Thurrock, Milton Keynes and the Isle of Man. Looking to improve communications, Bruce Davison, Performance Analyst at St Christopher’s began investigating Mobile Messaging Software and Services. The solution enables the sending and receiving of text messages to and from mobile phones on networked PCs. The system integrates seamlessly with email and offers an inbound SMS address for each user. SMS Messages are delivered in close to real-time and recipients then have the ability to reply directly back to the desktop, speeding up the communications process and giving businesses a truly competitive edge. Service users – residents in St Christopher’s supported housing properties or recipients of ‘floating support’ and personal advisory services – now use SMS to request supervision, ask questions or report maintenance issues. St Christopher’s typically use text reminders for support sessions, deadlines (eg. housing benefit claims), rental payments due and to update tenants on maintenance work. St Christopher’s use of SMS includes using the MS Outlook functionality to send incoming texts to the email inbox of the relevant staff member and the directing of maintenance requests to a central maintenance administrator. They also broadcast messages to groups of individuals – a specific time saving function. The advice to any organisation evaluating an SMS solution would be “To run a pilot in which you should try to test a variety of uses of the service and get feedback from users who are sending and receiving …” says Bruce. ProcessFlows supplied the solution and gave unlimited telephone support throughout the extended trial period. The Text Messaging Service was launched by asking service users if they would like direct access to their Personal Advisor from the convenience of their mobile phones and outlining the service, focusing on the benefits of being able to get easily in touch with their dedicated support officers. Before commencement of the initial month’s trial, support officers contacted their service users individually to explain the service. The initial trial was run for a month with 14 members of staff and about 180 service users. Correspondence relating to a service user can now be easily identified. Steadily increased use was noted throughout the pilot, which was deemed a huge success. The system is now fully ‘up and running’, with 50 dedicated numbers spread across departments within St. Christopher’s.